When President Donald Trump announced Wednesday that the United States is recognizing Jerusalem as the capital of Israel, he didn’t address whether the Americans intend to recognize Israeli sovereignty over all of Jerusalem and its responsibility for all of its residents – including the more than 300,000 Palestinians who neither view themselves as Israeli and are not treated as such by either the city or state. When the United Nations voted to divide British Mandatory Palestine in 1948, it intended two states to emerge: Israel and an Arab-Palestinian state. Jerusalem – with its mixed, Jewish-Arab population and an essential place in the history and belief systems of Christians, Muslims and Jews the world over – was not to belong to either state. Rather, the UN proposed that the city be administered by an international regime, until the time when Israelis and Palestinians could agree on an equitable and permanent arrangement for sharing it. The Jews accepted the Partition Plan and the Arab world did not, and a war ensued. At its conclusion, the State of Israel was in possession of West Jerusalem, while Jordan occupied and annexed East Jerusalem, including the Old City, as well as the West Bank. The Jordanians destroyed much of the Old City’s Jewish Quarter and denied Jews access to the Western Wall. The Palestinians had no state. During the 19 years it ruled the West Bank and East Jerusalem (an annexation recognized only by the United Kingdom, Pakistan and Iraq), Jordan contended with a nascent but growing Palestinian nationalist movement. It was a fanatic Palestinian nationalist who killed Jordan’s King Abdullah in 1951, a period when the monarch was holding unofficial peace talks with the Israelis. At the end of the Six-Day War in 1967, it was Israel that occupied the West Bank and East Jerusalem (as well as Sinai, Gaza and the Golan Heights). It removed the fence that split Jerusalem in two, and expanded the city’s borders by 200 percent. 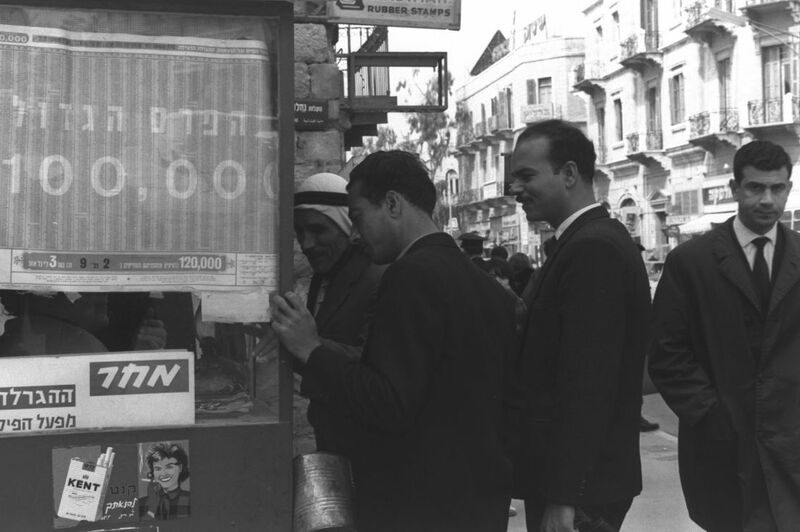 To Jerusalem’s 198,000 Jewish residents were added 69,000 Arabs, who were automatically granted permanent residency status and offered the opportunity to become Israeli citizens. 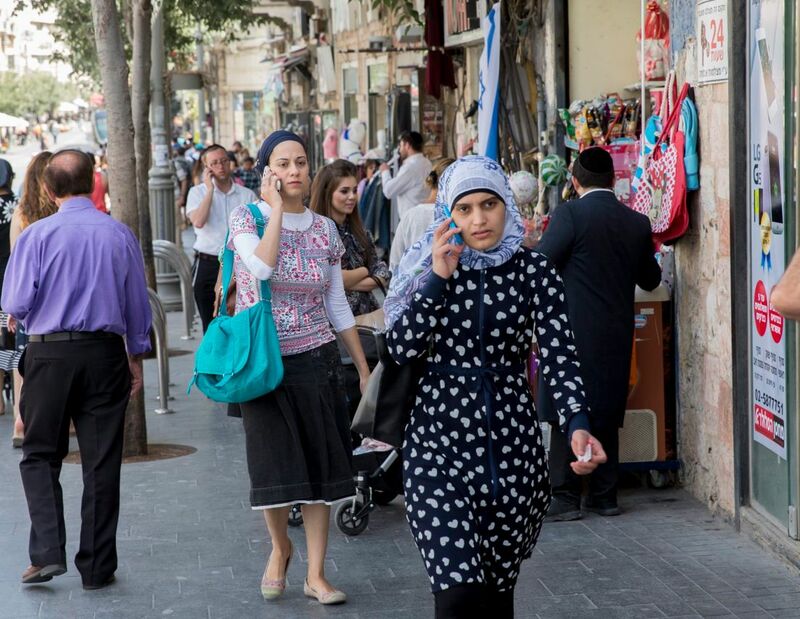 In 2015, according to the Central Bureau of Statistics, the overall population of Jerusalem was 865,000, of whom 324,000 (some 38 percent) were Arabs, while most of the rest were Jews. With the blue identity cards that come with permanent residency, Palestinians in East Jerusalem are free to move about Israel freely, and to work and study where they want. But collectively, Jerusalem’s Arab residents never came to terms with Israeli rule. Very few requested citizenship and for the past half century most have refused to participate in the city’s political life, even though they are eligible to vote in municipal elections. 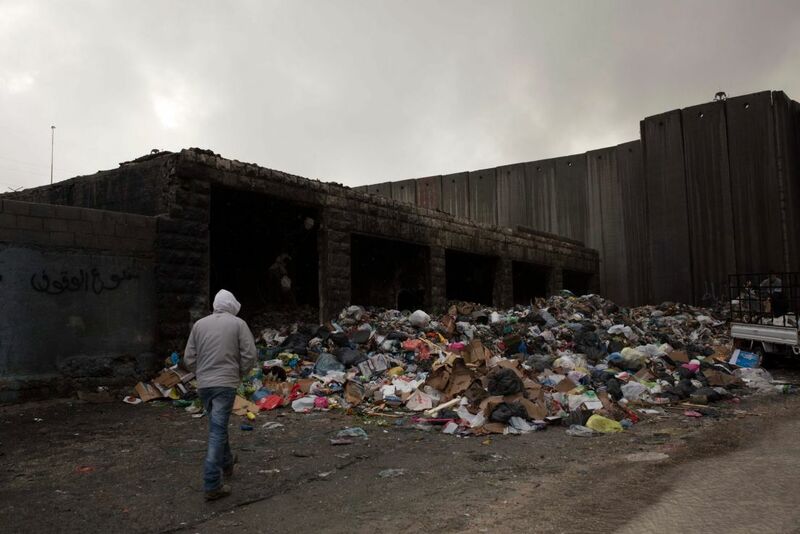 Perhaps because they are not represented in city hall, Jerusalem’s Arabs suffer from inferior municipal services: roads, schools, law enforcement and garbage collection, for example, all lag far behind those found in adjacent Jewish neighborhoods. Residents of Arab neighborhoods rarely receive permits for new construction, so nearly all the building that takes place is deemed illegal and at risk of being demolished by the municipality. And permanent residency itself can be ephemeral. The state can revoke it – not only if the resident takes part in political violence, but also if he/she leaves the country, even for studies, for a period the authorities deem excessive. Between 1967 and 2014, some 14,000 East Jerusalemites suffered that fate. Israel did not only annex the neighborhoods that traditionally made up East Jerusalem in 1967. It also incorporated Palestinian neighborhoods and villages that had never been part of Greater Jerusalem in the past. Between the patchwork of Arab sections – not only in the east, but also to the north and south of West Jerusalem – it built giant new neighborhoods intended only for Jews (Gilo and Pisgat Ze’ev, for example). By design, it moved many government offices into the Arab east and also, especially in recent years, it has allowed Jewish extremists to move into more central neighborhoods, such as the Old City’s Muslim Quarter and Silwan, which were until then exclusively Arab. Israeli politicians like to talk about Jerusalem being the “eternal, undivided capital of Israel.” In reality, though, they treat its Palestinians as if they were in the city on probation. In turn, by boycotting the political game, the Palestinians have limited legitimate alternatives for demanding their fair share. Not only can individual Arabs find themselves denied residency in Jerusalem. When Israel built its West Bank security barrier following the start of the second intifada in 2000, it left certain neighborhoods that were within the municipal boundaries on the “wrong side” of the wall. And some Israeli politicians are now proposing removing other “troublesome” neighborhoods from the jurisdiction of the Jerusalem Municipality – most recently Jerusalem Affairs Minister Ze’ev Elkin and Education Minister Naftali Bennett, who would like to reverse the 1967 decision to graft the Arab neighborhoods of Kafr Aqab and the Shoafat refugee camp onto the city. Trump’s proposal doesn’t acknowledge the dual nature of Jerusalem and the status of its Arab residents. It also ignores the international community’s consistent refusal to unilaterally recognize Israeli sovereignty over any part of Jerusalem until Israel and the Palestinians come to an agreement on sharing the city and the land. Jerusalem experts are not surprised by the Palestinians’ strong reaction to Trump’s decision. The city is home to hundreds of thousands of Arabs and the urban center to which hundreds of thousands more are drawn from surrounding parts of the West Bank. But Jerusalem is also a sacred city to all Muslims, location of the Haram al-Sharif (known as Temple Mount to Jews), where the Al-Aqsa Mosque stands. 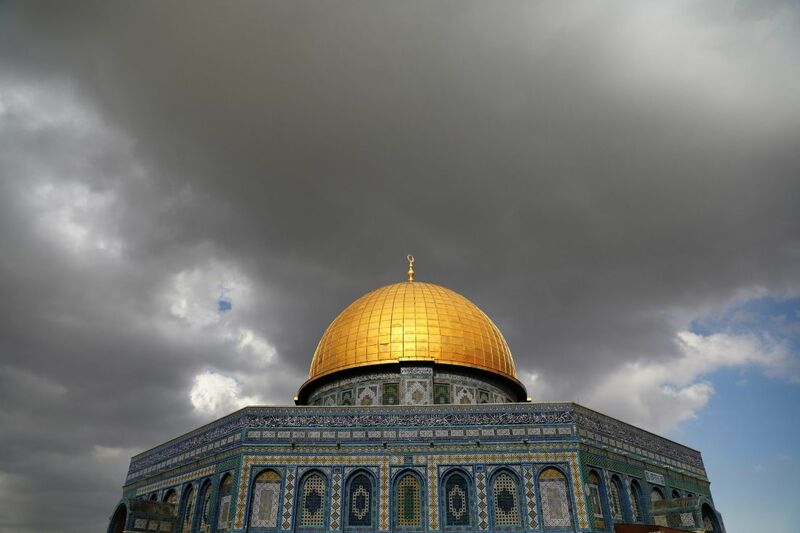 A very fragile balance prevails there and an intense campaign by Israel’s Islamic Movement has convinced many Israeli Arabs that “Al-Aqsa is in danger” from Israelis who want to destroy the shrines on the Mount and rebuild the Temple. There is no reason to believe that the Palestinians will relent on maintaining control of Haram al-Sharif, nor that they will forgo having the capital of any Palestinian state created anywhere but in Arab East Jerusalem. He points to the small, shared urban space of Haparanda-Tornio, which is divided between Finland and Sweden, and says that at the Jerusalem Institute they are studying the lessons to be learned from such places. However, Cohen says even the assumption that Palestinian negotiators would be willing to cede West Jerusalem to Israel, if their sovereignty in the east was recognized, ignores the fact that Palestinians have claims in the west of the city, too. 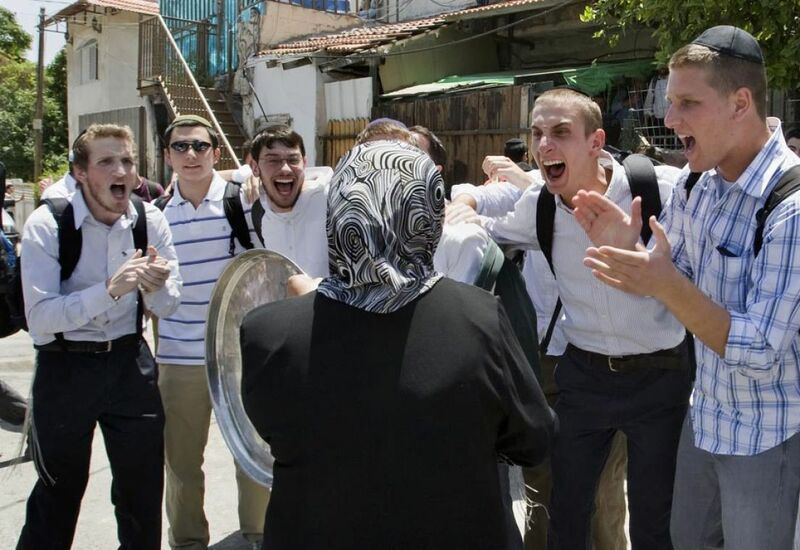 “Baka, Katamon, Talbieh, Malkha – all of these were Palestinian areas before 1948,” Cohen says, “and all of them produced refugees.” Today, these are all desirable, upscale Jewish neighborhoods in south Jerusalem. Cohen adds that during the peace talks in Oslo in 1991, Palestinian political leader Faisal Husseini objected to Israeli control of Silwan – the Arab neighborhood, just south of the Old City, where both the City of David archaeological park and several groups of Jewish settlers have made inroads in recent decades. For the Jews, the sacred link to Jerusalem goes back to the presence of the Holy Temple there, beginning some 3,000 years ago. But for Muslims, the conquest of Jerusalem in 637 is of great importance to them. And starting in the 11th century, when Saladin reconquered Jerusalem from the Crusaders, Muslims in the city began to regard themselves as “guardians of the holy places,” explains Ramon. There are good reasons as well as bad ones why the Jerusalem question has defied resolution. It may be tempting to treat the conundrum as one that can be solved by the clean swipe of a sword through the Gordian knot, but that won’t make the problems disappear.